Authorities have approved union-led protests against the Russian government’s proposed retirement age hike in 30 cities, including one to be held in a World Cup host city, a major labor union said. “As of Monday evening, June 25, actions in 30 cities have been approved,” the Russian Confederation of Labor said in an online statement. An additional 25 requests were rejected, and 50 more petitions remain “up in the air,” the statement noted. The list of cities that can now hold anti-reform rallies includes Kazan, one of 11 World Cup host cities under the de-facto ban on political protests, the confederation said. There have already been demonstrations in 11 cities since the retirement age proposal, which would raise the retirement age by five years for men and by eight years for women in the next decade, was announced. The unions also launched a Change.org petition that has since gathered gathered nearly 2.5 million signatures. 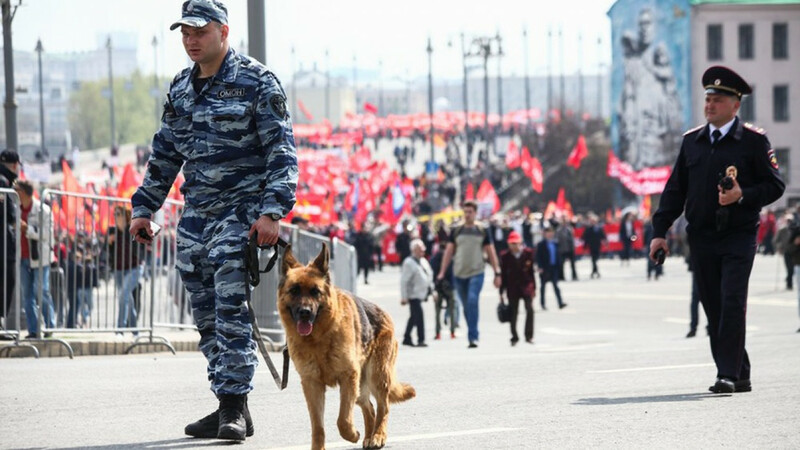 Some commentators say the protests have been allowed because the Kremlin benefits from allowing labor unions to protest. The argument, according to several anonymous Kremlin officials quoted in the Vedomosti business daily, is that rallies led by labor could “sideline” opposition forces. An earlier report suggested the union group sought to hold anti-pension reform protests separately from opposition leader Alexei Navalny, who announced demonstrations for July 1 in 20 cities that are not hosting the World Cup. 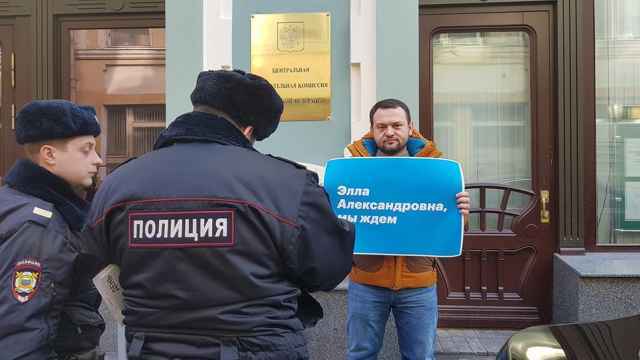 “If they manage to become the main negotiator with the authorities on the parameters of the reform, they could ‘play pass’ with the Kremlin [and end up] softening the bill,” one official said. 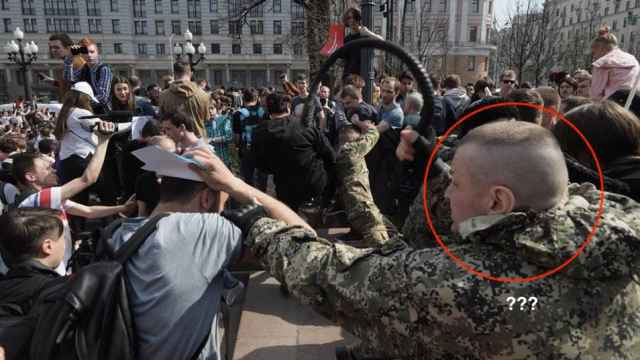 The Cossacks were filmed beating anti-government protesters on the streets of Moscow earlier this month. The two activists were jailed for 30 days for tweets calling for anti-government protests.